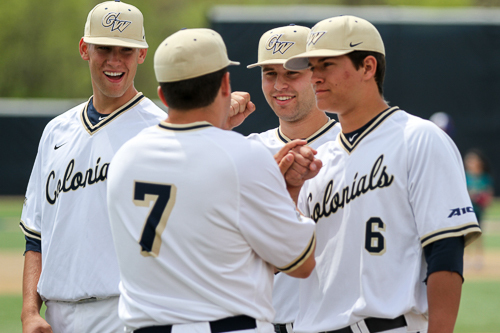 The Colonials out-dueled the Fordham Rams 2-1 to win the third game in their weekend series. Barcroft Park also hosted a “Bark at Barcroft” event, where fans were invited to bring man’s best friend to the game. The rescue agency Homeward Trails Animal Rescue had several ready-for-adoption dogs at the park. 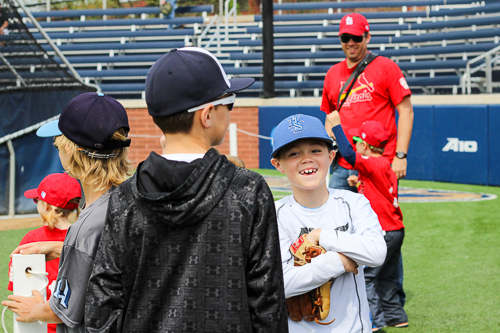 Local Little Leaguers watch batting practice before the GW baseball game on April 19. 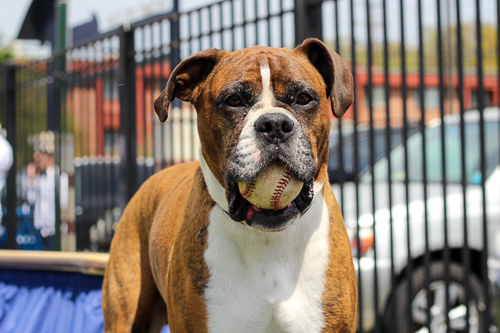 Rex the Boxer holds a baseball in his mouth before the GW game. Rex was at the game for the “Bark at Barcroft” event. 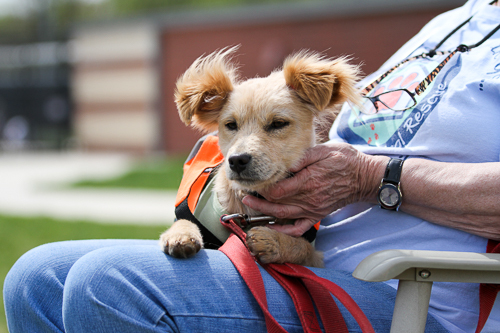 Scruffy sits on the lap of a a Homeward Trails Animal Rescue volunteer. Homeward Trails finds foster homes for dogs until they are adopted. Fans play with Stella, a two-month-old rescue dog, before the game. Matt Cosentino (No. 7) greets teammates during the pregame introductions. 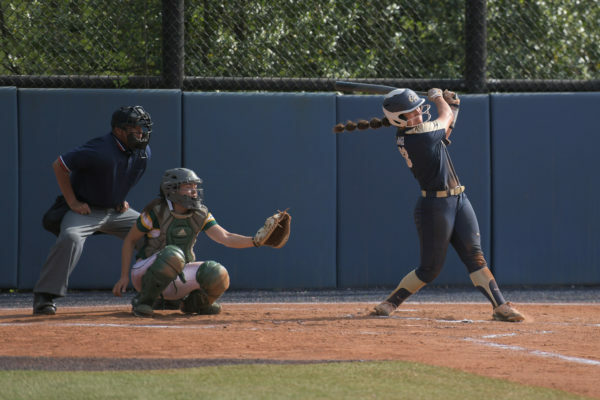 Cosentino would go 1-3 at the plate. 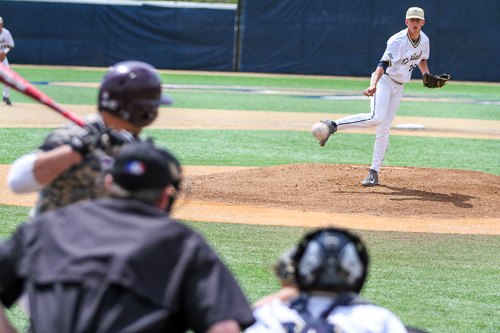 Junior Jacob Williams throws a pitch during GW’s game against Fordham. Williams started the game and pitched seven innings of one-run ball and had a no-decision. 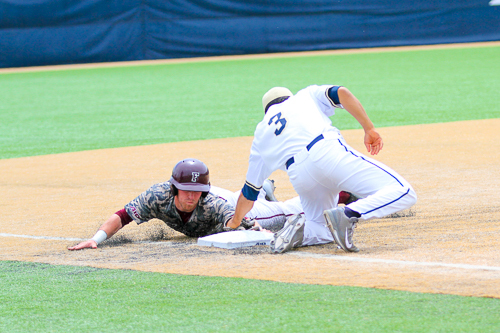 Sophomore Eli Kashi tags out a Fordham runner trying to steal third base. The Colonials would defeat the Rams 2-1. Sophomore Eli Kashi celebrates scoring the go-ahead run in the bottom on the eighth. 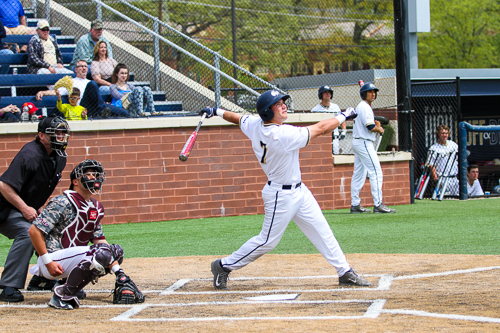 GW won the third game in the series against Fordham. Freshman Matt Cosentino fouls a ball off. 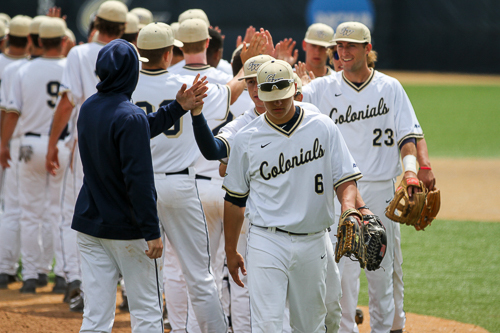 Cosentino had one hit during the Colonials’ 2-1 victory. The Colonials celebrate their 2-1 win over Fordham on Sunday. GW dropped the first two games in the series.